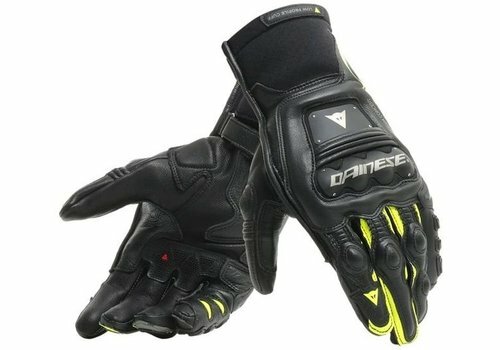 Buy Dainese Steel-Pro In Gloves Boots? Free Shipping! 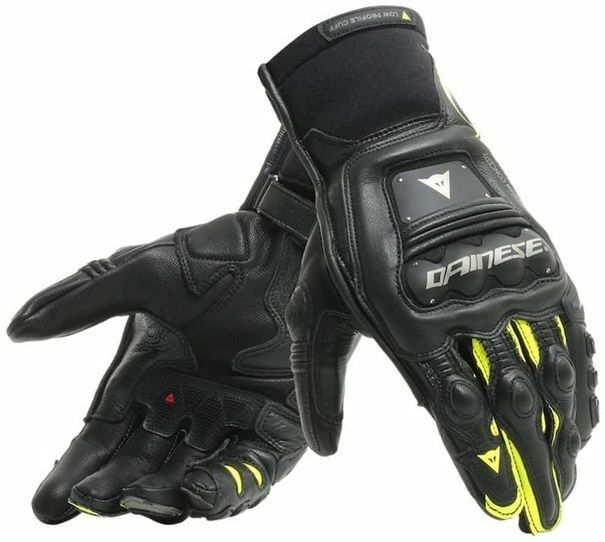 Buy your Dainese Steel-Pro In Gloves at Champion Helmets and get: ✓Best price ✓Free shipping ✓5% Cashback on your Order Value ✓Super Fast delivery ✓Order now! 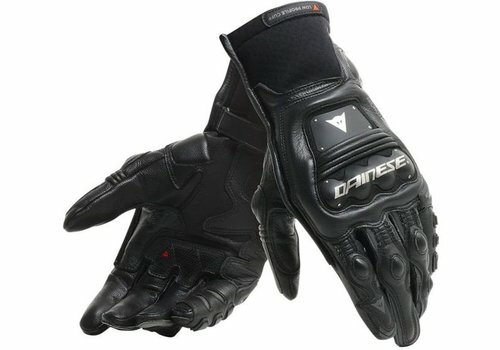 The Dainese Steel-Pro are the latest addition to the top segment of Dainese sports gloves. They are available both in a long and a short cuff model. These are advanced motorcycle gloves with the latest technological developments from Dainese, in the field of racing. In addition to safety, comfort was high on the list when developing these racing gloves. Partly because of this, these gloves are also perfect for street use. Gloves are essential in motor sports but even on the road you tend to put your hands out first to protect your body during a fall. Quality gloves are then an essential part of your overall protection. A competitor of the Dainese Steel-Pro is the Alpinestars GP Tech. The GP Tech are from the top segment of the quality brand Alpinestars. The GP Tech are made of cow leather in combination with kangaroo leather. These gloves have a TPU protection over the knuckles. It is a Sports glove that provides optimum protection and comfort. These gloves have a recommended retail price of € 279.95. Another competitor of the Dainese Steel-Pro is the Revit Jerez 3. This is a top quality sports glove from the quality brand Revit. The Jerez 3 is primarily made of kangaroo leather. The Jerez 3 also have TPU protection over the knuckles. In addition to protection, the Jerez 3 offer exceptional comfort. These gloves have a recommended retail price of € 299.99. These gloves are available at Champion Helmets for an excellent price. For an extra discount you can subscribe to our newsletter or You tube channel and directly receive a free 1000 points Champion Cash worth € 10, -. Found it cheaper somewhere else? Pass it on to us and we will price match and even try to beat the price. These gloves are CE - Cat. II - Pr-EN 13594 Standard level 1 certified. They are made of top quality materials to ensure safety. The glove has composite reinforcements in preformed stainless steel. High-quality goatskin leather combined with steel reinforcement on the knuckles and on the back of the hand, together with the DCP protection of the little finger, offer optimal protection. This DCP protection is a 3-angle-like TPU protector that is placed on the glove to prevent damage to the little finger. There is also TPU protection applied to the side of the little finger on the outside of the glove. The Steel pro have integrated protection in the pre-formed cuff. The glove is equipped with TPU protectors on the joints of the fingers and on the head of the ulna. A polyurethane insert is applied to the palm for better grip. Furthermore, a micro injection reinforcement has also been applied to the palm of the hand. The Steel Pro is made of super soft goat leather. The Dainese Steel pro offers a lot of flexibility, besides the elastic inserts, which are also visible in the accordion panel of leather between the knuckles and the back of the hand. These accordion panels can also be found on the back of the fingers. They have made some notches in the inside of the little finger for better flexing and freedom of movement. The pre-formed fingers and cuff ensure a perfect fit and optimal comfort and prevent fatigue of the hand. The glove is made of leather, which means that it feels somewhat stiff in the beginning but after wearing it a couple of times, it will feel like a second skin. The adjustable strap is covered to prevent protrusion. 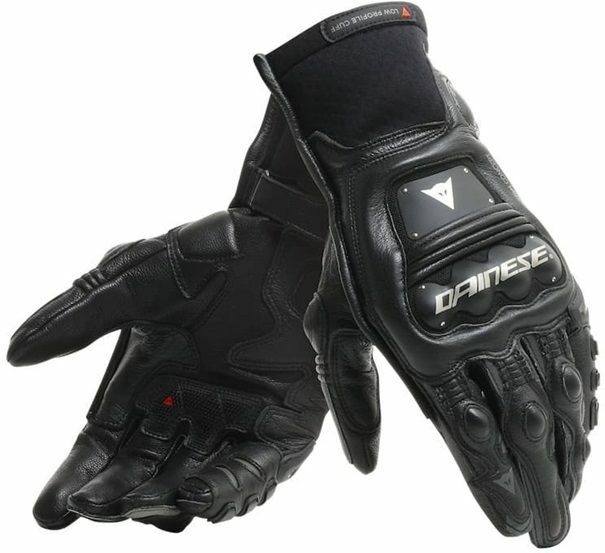 The Dainese Steel-Pro is a long cuff model, which will cover around the sleeve of the jacket. The short model, the Dainese Steel-Pro in will go inside the sleeve of the jacket. The cuff of the Steel-pro in is made of neoprene fabric, which is breathable and soft to the touch. The glove has ventilation openings on the inside of the fingers.